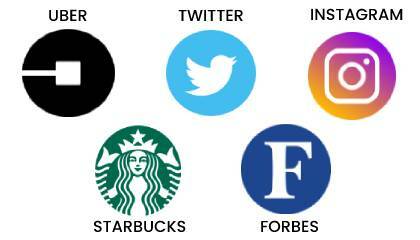 Since the day online presence and websites got established, they got officially declared as the front-face of any business and got transformed into mandate elements to promote any trade irrespective of its demographic nature. These technologies keep evolving every time, whenever the business world demands a shift and also delivered better-updated technology to meet the current requirements. Now the website world is marching towards another drift in the name of “Progressive web apps” which will nourish the standards of any business. Being an experienced progressive web app company in Chennai, India iStudio Technologies delivers par excellent services that enhance your business credibilities. As the early adopter of evolving technologies, we are well-versed with all the characteristics of a progressive web application and possess the capability to embed it into your business model successfully to deliver exponential growth. Here we have listed out the complete overview of progressive web apps (PWA) and the way it is about to transform the online face of businesses. What is Progressive Web Application (PWA)? When to use a PWA? Progressive web apps are the perfect combination of stereotypical website and application model which comes out as the complete package of both the elements with several striking advantages. To give a detailed view of these progressive web apps were created as a normal website which has in-built features like push notifications, offline working, and device hardware which are similar to a mobile app. 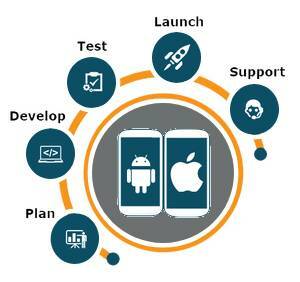 To make it further simple these applications are created in the web and can also be used as mobile apps. All these ideations got initiated when Steve Jobs introduced iPhones to the world and said these phones are highly capable of performing tasks without rendering any help from a particular SDK and there was no specific app store those days, this lead to the rise of progressive web apps a decade back. We are the renowned progressive web app developers in Chennai, India who deliver result oriented service to our clients using our advanced technological expertise. So let’s make things straight and simple, progressive web apps are termed to be the most productive ones when compared with normal websites or even a web application. The reason behind companies backing up PWA is very simple, they deliver the desired efficiency at low-cost spending and also by engaging a minimal amount of resources still, confused let me explain you with an example. Let’s take there are two companies named X and Y, these two are competitors and got involved in creating similar kind of product to get released at the same time in the market. Company X uses a web application and a mobile app as well to register a proper online presence for their product, on the other hand, Company Y follows a neat and simple strategy by adopting PWA into their module in creating a more interactive, efficient, secured and cost-optimised application that would enhance their credibility in different aspects. 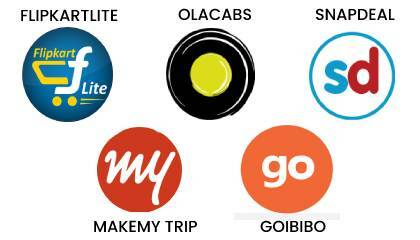 Here Company X needs to invest more in terms of money as well as in terms of human resource (different development experts for different languages) on the other hand Company Y needs to create just a single application using a progressive web app, and that would include only a specific skill set expected from the developers. We are the most innovative progressive web application development agency in Chennai, India who values our developers as well as our client’s credibility and hence we make them understand the importance of using these applications and create exceptional products and services out of it. A progressive web app comes out with several striking features which makes it as the most demanded application for any business type, here we have listed out the key features which showcase the PWA highly unique. So eventually PWA satisfies both the sets of developers and hence it is the highly preferred development application by developers, our experienced set of progressive web app developers in Chennai, India carry out the necessary functionalities in implementing PWA to deliver a customised application for your business. In some stage of its usage, a web application needs to get connected with the internet to access data this dependency may turn out to be a pitfall for most of the web applications when they were about to get deployed. 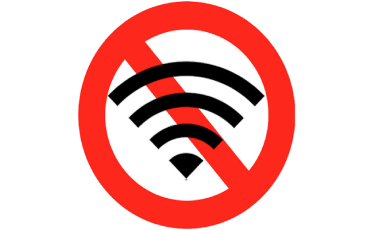 PWA is connectivity independent which makes it work faster and proper even when there is no network connection. There are few applications which exhibit the tailor-made character of belonging to a native app (either Android or iOS) this specific feature in these applications gets unleashed when used fullest which makes them part and parcel of the platform. 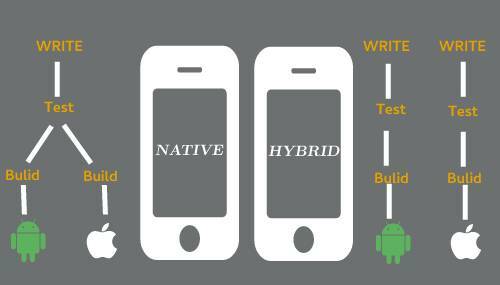 A well made PWA carries out exactly this particular feature in it where it suits well in both the major platforms (iOS and Android), but they get developed only once using a specific language which makes them highly apt for multi-application platforms, we are the best progressive web application development company in Chennai, India who are highly capable of creating native-like applications. The greatest quality of any application is the way it gets updated every time, keeping user experience in mind and giving top priority to it PWAs comes out with great characteristics of updating the entire application every time when a file or data is uploaded. Safety first is the primary thumb rule of any PWA which ensures a high level of security for data which are already uploaded or yet to get uploaded in the application. Especially when it comes to creating consumer-based applications, PWA ensures the safety concerns first and then focus on other functionalities. 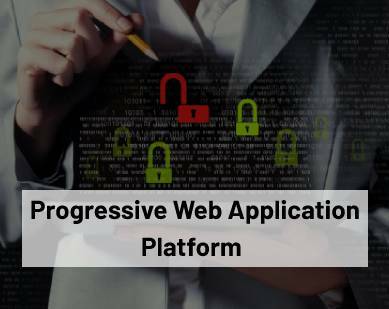 We at iStudio Technologies involve in creating secured Progressive web app in Chennai, India that safeguards the entire data from any hacking approach. An application can be highly engaging, immensely potent but it needs to identifiable at any cost to use it. PWAs ensures it is search engine friendly hence making a point that it is easily approachable by targeted users too. PWAs carries a detailed set of the manifest with it which holds complete information about it that makes easily identifiable. PWA is highly capable of pulling back its missed out users by sending efficacious notifications to the targeted ones about any minor update happened in the product. Native and hybrid apps are highly potent to send these push notifications, but the real challenge is to send it through a web application, and PWA does that in an effortless way. We at iStudio Technologies involve in creating progressive web applications in Chennai, India that are highly productive and capable of pulling in any customer towards your business. If you think that a web application like this having a lot of striking features are hard to install or get linked then your calculus is completely wrong. PWA make things simple when it comes to installing any of its kind where all a user needs to do is to search that particular app and directly install it in their mobile home screen. This method is applicable in all the versions, and moreover, it doesn’t require any marketplace visits like Google play store or App stores. The linkability of PWA is even easier as it enables sharing is done properly across the platforms. There are certain criteria which a business needs to stick with while framing their own PWA but don’t worry as it is not that complicated to create a tailored Progressive web application that suits your products/services. Your targeted client base must use only these browsers like Google Chrome, Mozilla Firefox and Opera to retrieve any kind of information. For example Flipkart maintains a full-fledged progressive web app since 70% of its users belongs to Google chrome where another 16% are Firefox users. If you are multi-brnach company and you are in a requirement of creating an internal support system then it is good to go with a progressive web app. A company named Greenice created a sales automation tool using PWA for its internal purpose. If your organization already possess an iOS app then you can opt out for an interactive PWA to cover the entire set of targeted audience. A company named Selio developer a separate iOS app and created a PWA for users who opt for compataible browsers. If in case your app is content driven and demands low amount of mobile device functionality then you can give first preference to PWA as it is the best choice for creating such kind of applications. We create highly effective progressive web applications in Chennai, India that not only just retains your credibility but also enhances the scope of your business expansion. PWAs provides separate app based UI’s that synchronize well with the mobile devices. Post implementation of PWA, Pinterest witnessed 40% more engagement among its users in their mobile website. Luxmart registered double the amount of mobile conversation rate from 0.6% to 1.24% after incorporating PWA into it. It’s performance rate in Google also raised from 67% to 99% post the launch of PWA. a) Both the technology titans Microsoft and Google have already started the process of backing up progressive web apps from 2018 by justifying their reasons. Microsoft has its own set of a reason that is found to be obvious, and Google has declared PWA as the future of application development. Since Google is marching fast towards the introduction of chrome 70, it is obvious that this particular technology will be high on demand in future. We are the top progressive web application development company in Chennai, India who have sensed its importance in advance and keep deploying the same in our clients project to bring in the real difference. b) One of the biggest achievement of progressive web apps is they have forced Apple to adopt their module into their systems and operating platforms. At a certain stage embracing the PWA has become highly mandatory and hence Apple adopted it with no other go and also created a footpath for other industrial players to follow its similar approach since it is the leading player in the market. We deliver highly influencing progressive web applications in Chennai, India that operate well in all the platforms. 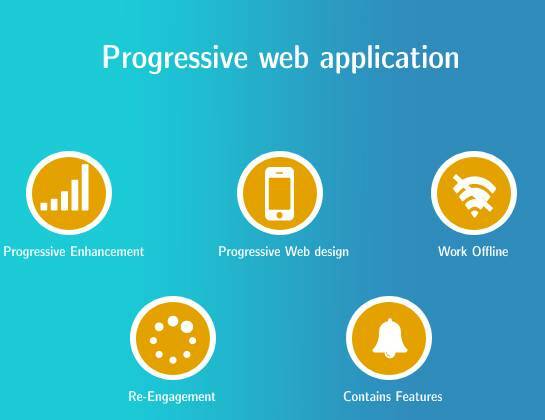 Progressive web apps have already registered its presence in the world of development and still inching for a greater recognization, though it found to be the most handy player in all the aspects the tech world is still oggling to make the complete use of this particular application. Implementing this kind of application will bring in lot of positive effects to your concern especially when it comes to registering a solid online presence, as PWA is all set to transform the industries and let us get ready to embed it into our business.